It may come as a dry itch. Or a scratchy soreness in the throat or neck But whatever the effects, a sore throat can range from a simple, mild irritant to a very painful condition. A sore throat, which is also known as pharyngitis, laryngitis or tonsillitis, happens when your immune system reacts to an allergen or infection, and triggers a release of inflammatory chemicals like histamines and leukotrienes that irritate the membranes. A hot, phlegm-filled throat would generally mean you’ve fallen prey to whichever cold or flu bug is in your surroundings. Dry, sore and raspy throats are the result of allergies, exposure to pollutants or strained vocal chords. A sore throat can accompany a cold or flu, or it can be the result of overuse of the voice or irritants such as cigarette smoke and alcohol. Nevertheless, despite its many causes, a number of alternative herbal remedies exist and may help relieve the discomforts of a sore throat. Herbs can alleviate pain and inflammation, provide temporary relief, and help heal raw throat conditions. 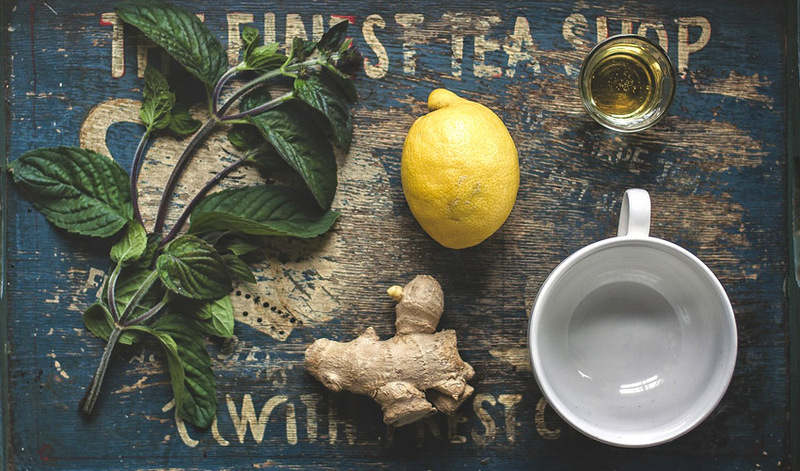 Traditional immune boosters such as echinacea and goldenseal or Oregon grape root are effective when you have a sore throat that is caused by a cold or flu. Garlic can also be helpful herb when battling sore throat, since this herb is noted to fight off offending bacteria or viruses. It would be best to try adding it raw to your salad and other dishes. Mucilaginous herbs can also alleviate sore throat. Marshmallow and slippery elm do a wonderful job. Gargling with astringent herbs will ease the discomfort. Raspberry or blackberry leaves along with elder flowers are effective for this condition. Combine them with marshmallow and licorice for a soothing effect. Cayenne pepper, also helps to stop pain, so add it to your gargling concoction. It is imperative to gargle all these herbs before swallowing them. Herbal treatment options can help soothe and heal a sore throat, depending on whether it is the result of a cold, voice overuse or another affliction. Turmeric (Cucuma longa) is a spice that is very popular particularly in India. It contains curcumin, a proven anti-inflammatory agent, along with astringent components that dry out phlemgy throats and antimicrobial agents to battle infection. To prepare, gargle with 1 teaspoon of powdered turmeric in a cup of hot water. Ginger (Zingiber officinale). Another staple ingredient in the Indian therapeutic realm. This herb alleviates inflammation and infection. Brew a concoction from a few slices of the fresh root, a teaspoon of ground powder or a premixed tea bag in a cup of hot water. It is advised to gargle as much as three cups a day. 3 tablespoons red raspberry leaves, powdered 1 teaspoon cayenne pepper, 10 drops scented geranium, sage, or rosemary essential oil, honey and cornstarch. To prepare the lozenge, mix the herbal ingredients together with the adequate amount of honey to make a thick goo, or quite a sticky concoction. Add essential oil and mix well with a fork or fingers. Pinch off small pieces, roll into balls, and flatten lightly to form a lozenge.